Glamping Sites are now available at Lake Powhatan! Click here to learn more. 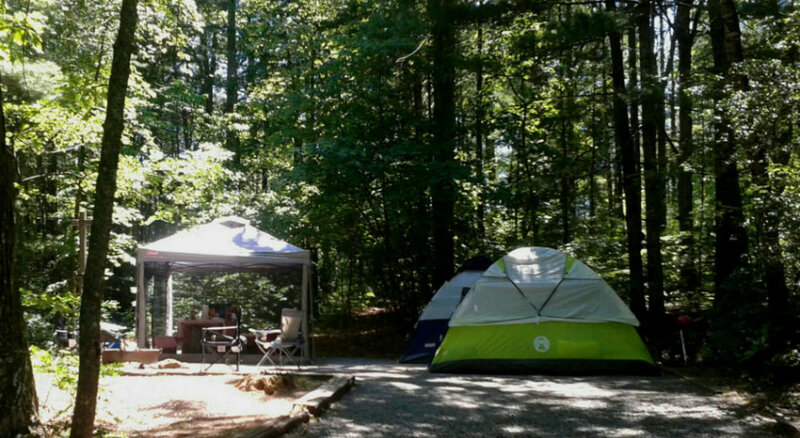 Lake Powhatan is the finest in Asheville camping and is close to all the action of downtown! Located only 10 minutes from Asheville, North Carolina, this is the perfect spot to base your vacation. The campground borders the 6,000-acre Bent Creek Experimental Forest, a haven for mountain bikers, and is close to the French Broad River. 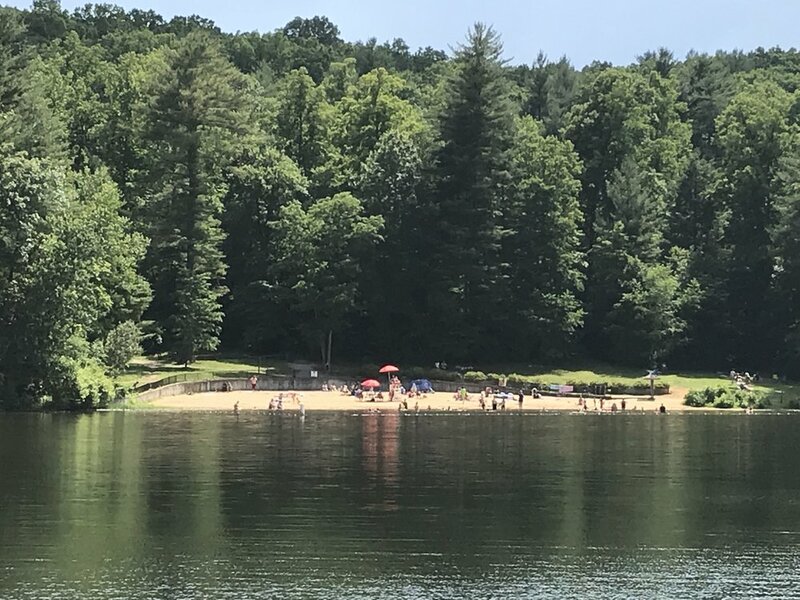 The swimming lake and beach will give you a way to cool off in the heat of the summer, and for those who like to be out-and-about, the NC Arboretum and Blue Ridge Parkway are only a few miles from the entrance to the campground. Looking for camping in Asheville, NC? Nearby campgrounds in the area include North Mills River and Davidson River. Gate hours are from 8:00 am to 8:00 pm (no walk-ins are allowed after 8:00 pm). Beach and swimming lake with lifeguard. No canoes, kayaks or SUPS. Lifeguards are on duty weekends only Memorial Day to Labor Day. Safety in bear country begins before you stay in the campground or hit the trail. Here are a few tips! *Federal Interagency Senior/Access discounts only apply to single standard site rate. Does not apply to any other items or services. Card holder must be present on site to use discount. Cash, checks, and credit cards accepted at this facility.